Our Eco-Safe Deck Cleaning service is just what you need to remove the stains from mold, algae, lichen and moss or prepare it for staining, painting or water sealing. This service, one of our most popular, not only cleans wood decking but restores the wood to a like new color tone, removing the gray weathered wood fibers. A professional deck wash will greatly lengthen the amount of time your deck will remain clean with a great new look. 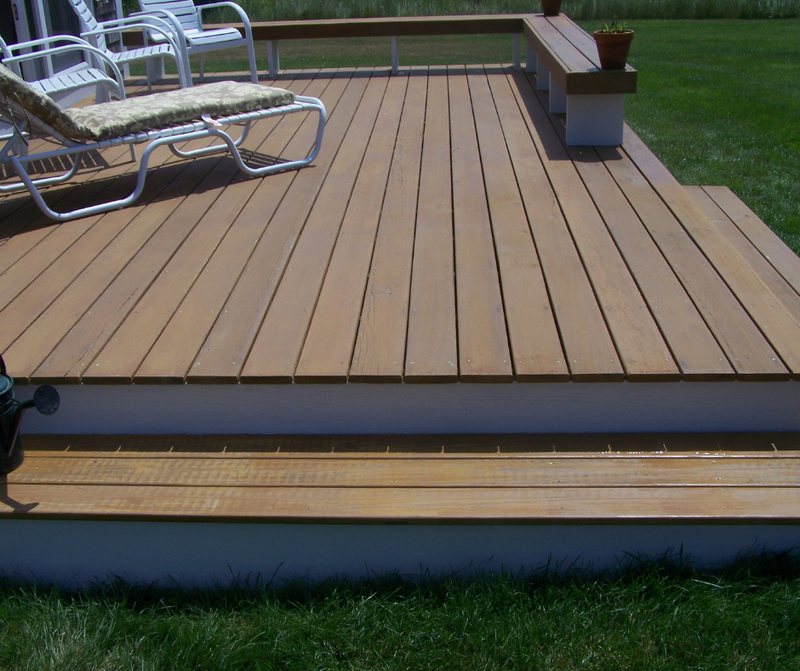 Do you have a composite deck that has black stains and spotting? Have you tried cleaning yourself and can’t seem to get the deck any cleaner? That's because of the porous nature of composite decking. The stains are deep set in the pores of decking. Our professional composite deck cleaning not only removes what appears on the surface but also targets algae and mold that is deep set in the porous material below the surface cleaning. These stains become a real problem for composite deck owners so you want a service that can penetrate the surface unlike anything else. Our deck cleaning service will solve your deck cleaning problem and prevent it from coming back. We take a conscientious approach for the long-term quality and health of your home and landscaping with Eco-Safe cleaning solutions. If you are afraid of spraying a chemical on your deck, you should be! Not only can the chemical run off and damage your plants and lawn but some deck cleaning chemicals can be fatal to your pets. 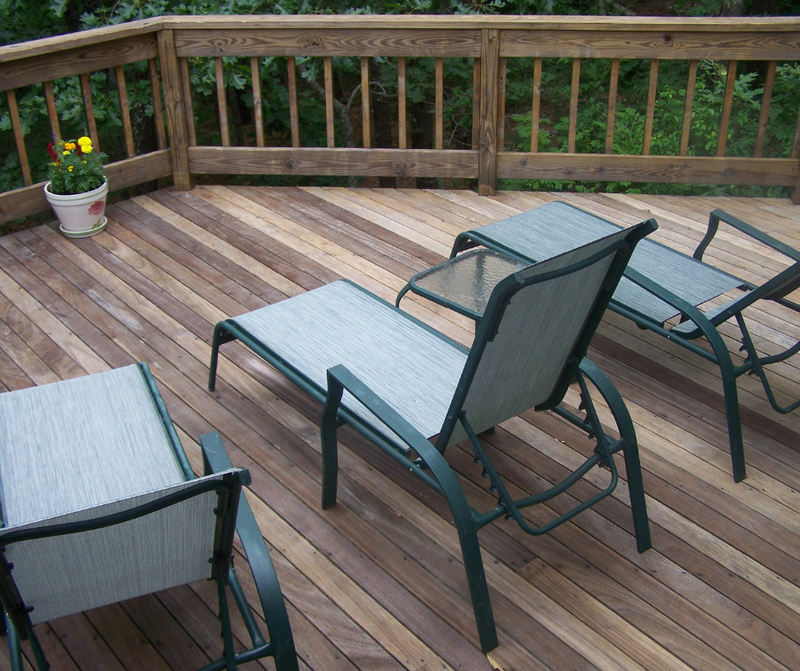 These toxic chemicals can alter the color of your deck and look splotchy if done improperly. Our deck cleaner is made from earth friendly hydrogen peroxide and it will not harm people, pets or property. As an oxygen based cleaner, the product only has an active life of 4-6 short hours before this product biodegrades, making it by far the safest product in the pressure washing industry. Your deck is an investment in your home and can easily be damaged with incorrect pressure from power washing. A pressure wand in inexperienced hands can cause serious problems to your deck. 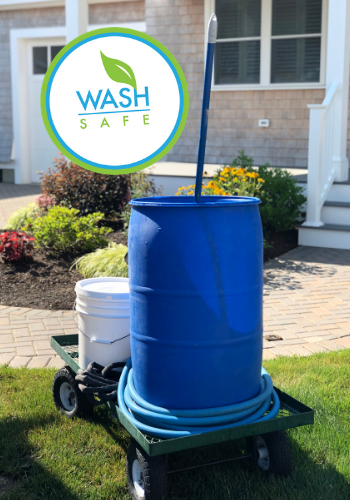 With over 11 years of cleaning 2,500 + homes on Cape Cod, we believe we offer the best quality and longest lasting “clean” available using special, custom-tooled nozzles we manufacture ourselves called “Soft Tips”. We’ve customized this technique to reduce the impact pressure on a deck up to 70%. When a deck is professionally cleaned this way, no damage occurs.